Student success is at the heart of education. NPSI provides the following to help students learn who they are and where they fit into the world of work, and life in general. NPSI Online Orientation Course. 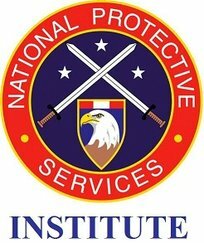 All NPSI students must take this course prior to beginning any courses for academic credit. This course provides the information students need to be successful at NPSI. Examples include student expectations, study skills, goal-setting, instructional methodology, use of the Learning Management System (Matrix), use of the Learning Resources Center (online library), and other similar information. This course is an interactive, experiential learning experience that teaches a process for making not only career choices, but also for making life choices. Students come away from this experience with a productive vision of their future and a 10-year quantitative and meaningful plan for realizing their goals. It helps provide the intrinsic motivation required to succeed in both post-secondary studies and in the workforce. As part of this course, students will complete surveys, activities, and exercises designed to trigger their analytical, strategic, and critical thinking as they answer three critical questions: Who am I, what do I want, and how do I get it? This course will guide the student through a detailed decision-making process that culminates in the development of a quantitative and meaningful 10-year education, career, and life plan. ARCH Profile Assessments. NPSI has partnered with ARCH Profile to give our students the most comprehensive and reliable selection of online assessments available, all at a great cost. Developed by the ARCH team of experienced psychologists and programmers, these assessments utilize Artificial Intelligence (AI) technologies to deliver precise scoring and in-depth analysis instantaneously in a user-friendly environment. Each test is well-researched and designed according to the APA (American Psychological Association) standards for educational and psychological testing. This is a great method to coach people to reach their full potential. Numerous assessments on a wide range of topics are available, including several general personality tests, a number of job-specific assessments, several kinds of intelligence tests ranging from culture-fair to emotional intelligence, and a large number of attitude and transferable skills assessments, such as communication skills, coping strategies or organizational skills. ARCH Profile assessments are self-administered and self-scoring, so students don't need to spend additional time or money on interpreting results. Assessment reports provide an overview of the topic, personalized results, and no-nonsense advice and tips. The reports are easy to read because they are written in plain English, are visually enhanced (graphs, bullets, summaries), efficient, concise, and offer practical and down-to-earth insight.